This is the story of a humble Indian bikemaker which grew on to become the largest two-wheeler manufacturer in the world! Hero MotoCorp is one brand which has played a major role in mobilising India by providing an affordable means of two-wheeled transportation. Its Splendor range left such an indelible mark in the aam aadmi’s mind that it has now become a common noun! Here’s how the venerable brand worked its way to the top. It all started with Hero Cycles, a bicycle manufacturer based out of Ludhiana, Punjab. Its founder, Brijmohan Lall Munjal took the business up a notch by teaming up with a bicycle parts maker, Majestic Gears, to make mopeds. Majestic Gears was then renamed as Majestic Auto and in 1978, it started manufacturing the Hero Majestic moped. In 1983, Hero Cycles entered a joint collaboration with Honda Motor Company, Japan, and a shareholders’ agreement was signed. This gave birth to a new two-wheeler brand in the following year called Hero Honda Motors Ltd. It was a really sound unison as Honda had the technical expertise and both Hero and Honda shared the ambition to make their presence felt in the Indian two-wheeler market. The first product which came out of this collaboration was the Hero CD 100 with the four-stroke sloper engine. This was at a time when most of the bikes in the market were equipped with 2-stroke motors. Thanks to Honda’s engineering, the CD 100 was ages ahead of its competition in terms of reliability and fuel efficiency. This fact also reflected in the sales figures, as Hero Honda produced its 1,00,000th motorcycle in just two years! Then in 1994, the Splendor was launched. That year also marked the production milestone of 10,00,000 units. It wasn’t just the technology transfer from Japan that made the company popular. Munjal’s leadership and networking skills also helped the company to strengthen its roots in the country. In 2000, the Splendor became the world’s largest selling motorcycle and Hero achieved the 40,00,000 production milestone as well! The Indian two-wheeler market had a lot of untapped potential and Hero didn’t want to simply stick to the commuter genre. So in 1999, the Hero Honda CBZ was introduced. This motorcycle packed a 156.6cc Honda engine which was tuned to offer superior acceleration compared to the competition. It was also one of the first bikes to come with a standard front disc brake. 2003 marked the arrival of the Hero Karizma. Armed with a 223cc Honda-derived single-cylinder air-cooled engine, the Karizma was one of the select few Indian bikes of its time which could sustain triple-digit speeds on the highway effortlessly. Unfortunately, Hero couldn’t sustain its momentum in the segment as modern derivations of its past models like the Karizma ZMR and Xtreme Sports failed to capture the public’s imagination. The joint venture between Hero Group and Honda ended in 2011 allegedly over differences in the two brands’ goals and also due to issues in royalty payouts. These developments led to the emergence of Hero MotoCorp. After parting ways with the Japanese auto major, Hero concentrated on strengthening its portfolio with the goal of reducing its dependence on Honda technology. Hence, in 2016, Hero inaugurated a state of the art R&D facility called Centre of Innovation and Technology (CIT) in Rajasthan. The facility helped Hero in coming up with its own engine platform for its products. The company is currently in the process of replacing its entire portfolio with products developed from ground-up. What’s more, Hero’s indigenously-developed i3S (idle start stop system) technology has also helped in setting the brand apart from its competitors as far as the commuter segment is concerned. While Hero is still currently dominating two-wheeler sales in the country, the Indian bikemaker has also set its eyes on the 200cc segment. With bikes in the 150cc market becoming dearer because of the new safety and insurance norms, the 200cc space does seem to be alluring for those who want a reasonable balance of power and fuel economy. While the focus is moving towards larger displacement offerings, Hero’s commuter DNA has remained unfazed. Case in point is the Xtreme 200R. The largest two-wheeler manufacturer is also looking to explore other genres within the 200cc space. Hero is all set to launch the XPulse 200, the spiritual successor of the Impulse, most likely this month itself. 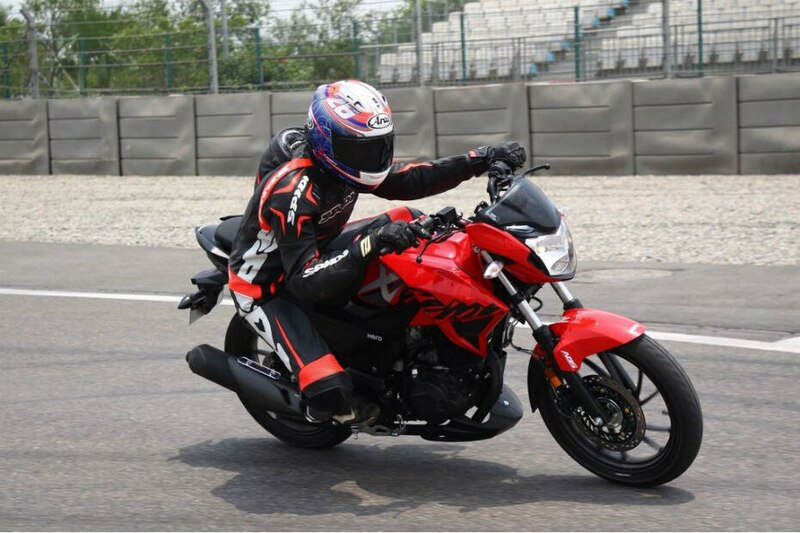 Even a faired iteration of the Xtreme 200R was spotted recently, hinting at the revival of the famed Karizma moniker.